Home » Gabor + Allen, Inc. Approach the relationship with your designer as a collaboration. Show photos of what you like, and write a list of things that are important to you. Looking for a design build firm that combines professional design with your personal aesthetic? Since 2003, Stephen Gabor and Patrick Allen have been developing properties, building homes and creating sustainable landscapes that cover a breadth of styles, always graceful and inviting. To enhance flow in landscapes, Stephen and Patrick create transitions between elements. They might extend tiles used in an outdoor dining area into the garden to invite exploration. They design and build water features—gurgling fountains, ponds, cascades. Members of the U.S. Green Building Council and the Santa Monica Sustainable Landscape Professionals Program, G+A use sustainable materials and practices. 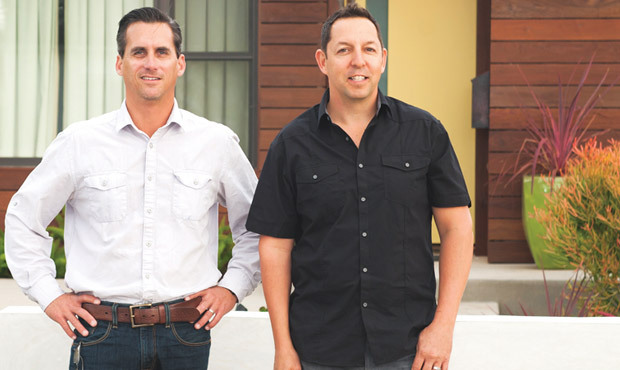 Patrick and Stephen are realistic with pricing and make the most of their clients’ budgets. They might re-face cabinets, so the client can afford new countertops. They can also plan projects in phases, so clients can proceed as their budgets allow.